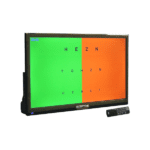 The Lex1 Digital Acuity System is designed around the latest in Android technology. 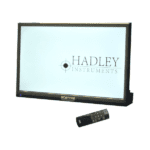 Low power consumption,monitor flexibility, fast , sharp concise graphics and an endless amount of media power are contained in a computer the size of a large thumb drive. 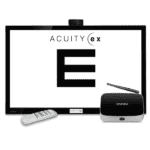 The Lex1 Digital Acuity System has all the most popular acuity tests at a price that is much less than the most popular brand sold today. We felt we wanted to capture the multi-room practices and those offices that can’t justify spending $2,400.00 per room. 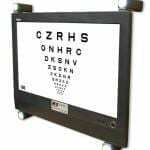 The American-Made Smart System 20/20 computerized visual acuity and contrast sensitivity testing system offers the technological features needed to increase the quality of care you provide, streamline your practice and increase throughput.